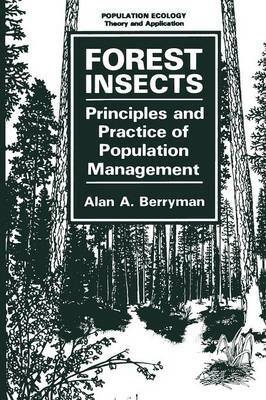 This book is intended as a general text for undergraduates studying the manage- ment of forest insect pests. It is divided into four parts: insects, ecology, manage- ment, and practice. Part I, Insects, contains two chapters. The first is intended to provide an overview of the general attributes of insects. Recognizing that it is impossible to adequately treat such a diverse and complex group of organisms in such a short space, I have attempted to highlight those insectan characteristics that make them difficult animals to combat. I have also tried to expose the insects' weak points, those attributes that make them vulnerable to manipulation by human actions. Even so, this first chapter will seem inadequate and sketchy to many of my colleagues. Ideally, this book should be used in conjunction with a laboratory manual covering insect anatomy, physiology, biology, behavior, and classifica- tion in much greater depth-in fact, this is how I organize my forest entomology course. It is hoped that this first chapter will provide nonentomologists with a general feel for the insects and with a broad understanding of their strengths and weaknesses, while Chapter 2 will provide a brief overview of the diverse insect fauna that attacks the various parts of forest trees and their products.